This brewery has won several awards at GABF in the past, so I was excited to try it out. 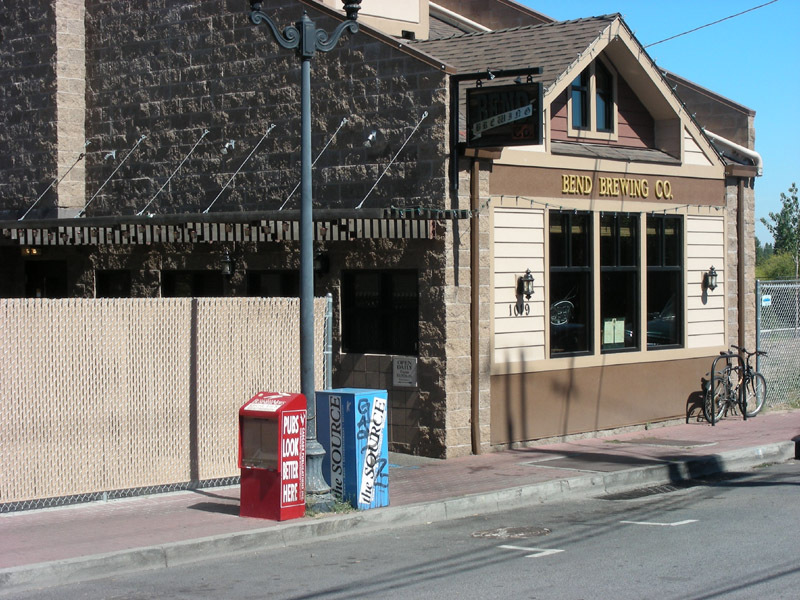 The place certainly had a late 80's or early 90's brewpub feel to it. The brewery itself is visible through some smudged windows on the second floor and is quite small. We shared the sampler of 10 beers between the three of us. All the beers were good, with no stinkers, but none of them really stood out to me. The favorite of the group was the red ale. Overall I was a little disappointed, but this was far from the worst brewery we were to visit in Bend. I can't speak to the food here since we were still full from previous dinner. This is a great brewery! I have been here several times and have always felt welcome and comfortable. Atmosphere in the pub is laid back and very OR. Outdoors feel with a lot of locals and good specials. The food I have had there, both pub fair and local flavor was great. Service has always been exceptional sitting at the bar, since I usually fly solo. My first visit was over two years ago, but this is a place I return to when going back to bend. 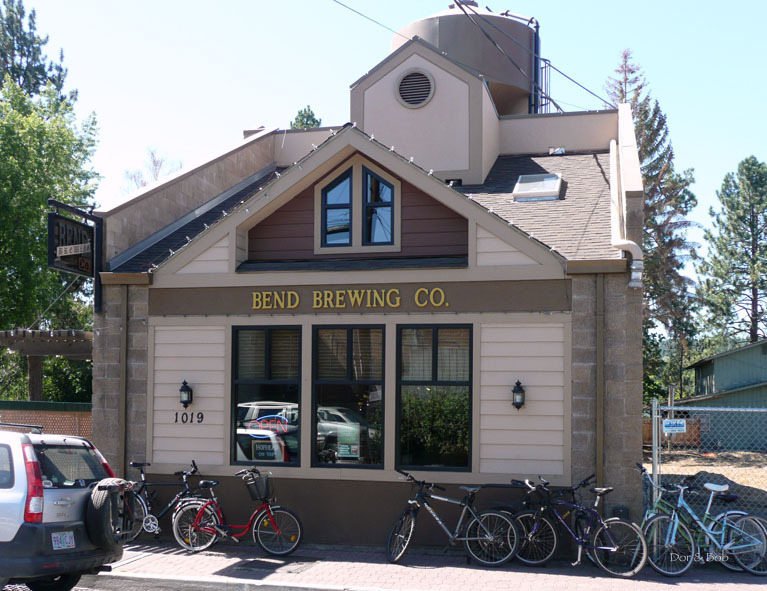 Bend Brewing is in a long and somewhat narrow building made of cinder block on the two long sides and covered with stucco outside. Inside there is a small dining area by the street with normal height ceilings (the brewery is on the second story above) but the back opens up to a large space with a tall and steeply sloped ceiling with skylights. The bar section is on one side and has a long wooden bar with stools. A few steps down from the bar takes you to oak tables and wooden chairs as well as a few booths. There are large windows that give a peek-a-boo view of the Deschutes River. Thereâ€™s also a nice outdoor patio on the river side with black metal mesh tables and chairs and green umbrellas. 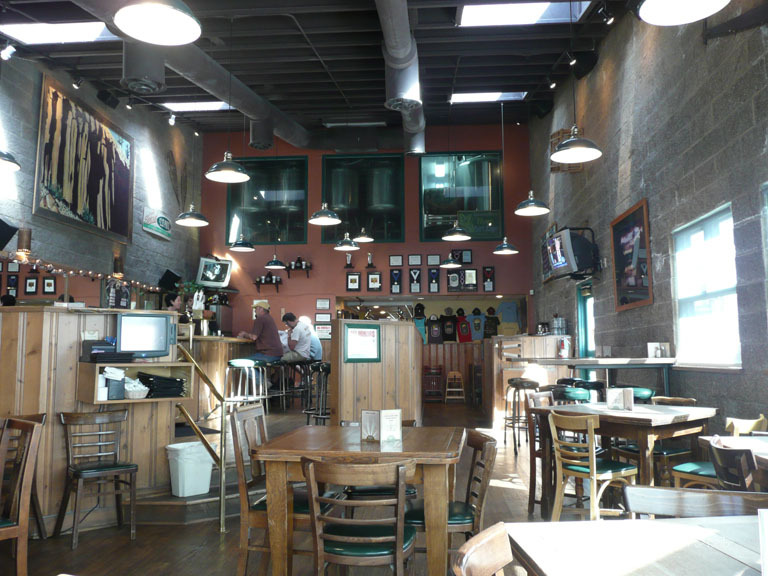 The brewery is visible through windows from the main area into the second story. It looks small and cramped. There were 10 beers on tap when we visited - five regular beers, three seasonals, and one on nitro. The staff were all quite pleased to have a women brewer presiding who had just won several awards. 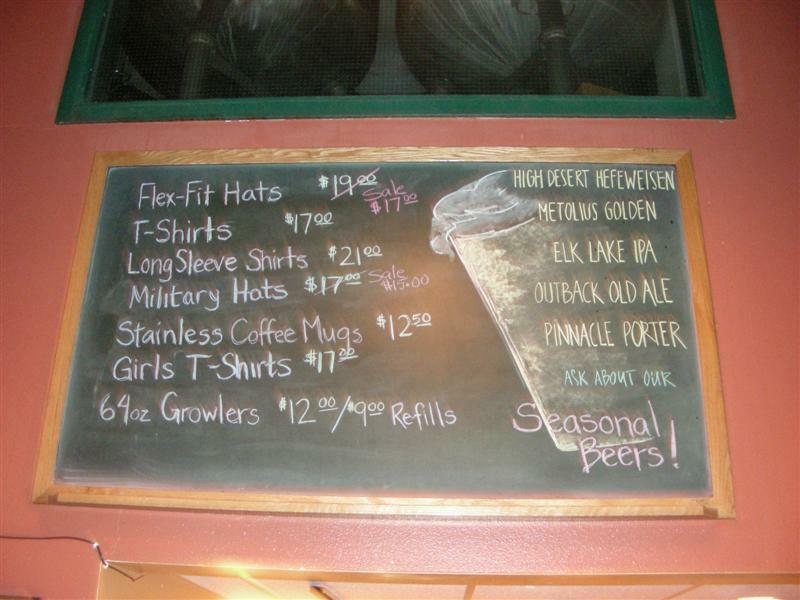 The Elk Lake IPA was superb as was the Hophead Imperial IPA. The food was good. It looked like a reasonably standard menu selection but the crabcakes with Thai coconut curry sauce were excellent and flavorful, and the burger/salad combination was also quite good. Overall this place has a very comfortable, friendly, and welcoming feeling. Itâ€™s nice but without the snooty feeling you usually get in a popular/resort town. I stopped here for dinner with my parents while we were in Sunriver for the weekend. My mom had been here before, and she recommended it. She is not a beer drinker, but liked it for the atmosphere and food (and she figured my dad and I would like the beer). They had half-a-dozen or so of their beers on tap; I had the porter, and it was quite good (I was tempted by the Oatmeal Stout they had on Nitro, but being with my parents I stopped with just one pint). The location is great, but we were seated in the room nearest the street, with no view to the river so that was a little disappointing. The food we had was good, and the had a fairly wide selection of sandwiches, pastas and salads on the menu. 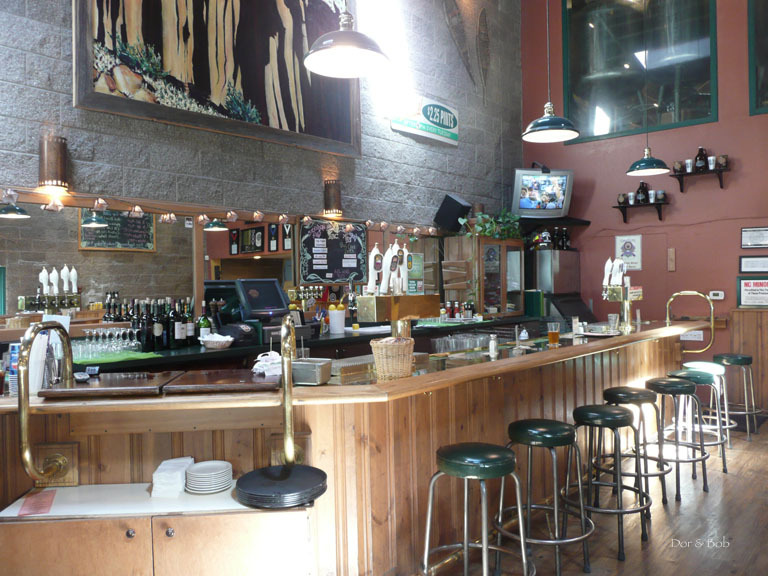 This is a great location for a brewpub, sitting right on Mirror Pond and the Deschutes River. I believe the location was originally affiliated with Deschutes Brewery but it is independent now. We had visited more than 10 years ago and our return visit was memorable as well. There is a nice bar in the central area with seating adjacent and in a separate room. The rooms and nice outside patios step down toward the river. There were about 7 house brews on tap including a couple of seasonals. I liked the Outback Old Ale and Pinnacle Porter. The menu has several interesting sandwiches, pastas and other entrees. We had a great dinner on the river and hope to return well before another decade goes by.